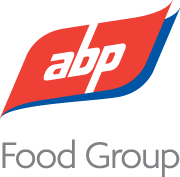 ABP Food Group is one of Europe’s largest vertically integrated Agri Food processors. Our core business is beef processing, harvesting the products from over one million cattle each year from farmers throughout Ireland, the UK and Poland. We also have a sizeable lamb business processing over 2M across ROI and UK. Products that do not make it into the human food chain are further processed in one of our other 3 divisions, Petfoods (a pan European business trading as C&D), ABP proteins (adding value to by-products – tallow, MBM, Gelatine), or our Renewable energy division (trading as Olleco).